It's confirmed... I have fallen in love and I am caught in an OMBRE ROMANCE! Ever since Angelo Falconi III did my first ombre experience with pink, I just could not get enough! 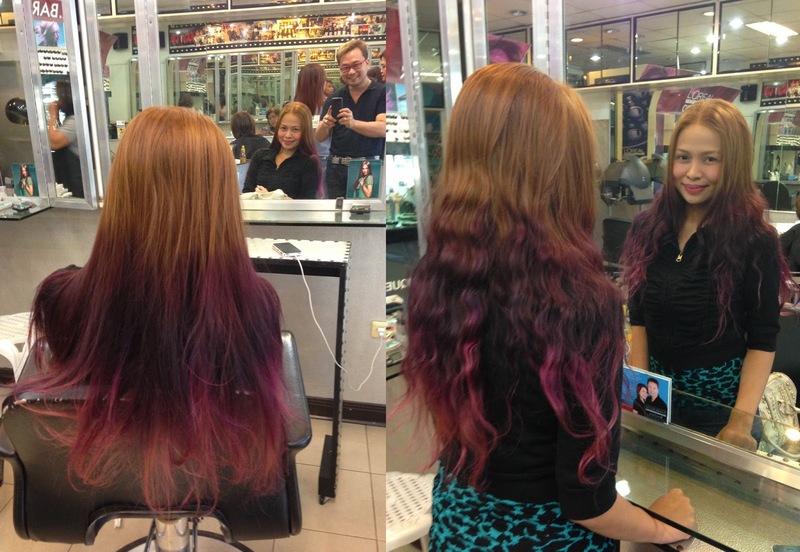 I enjoyed my Pink Ombre for more than 2 months and even though I still loved it, I wanted to try another color change. I love the ombre look a lot because it is so low maintenance! I love my long hair and i am certainly not close to chopping it off, but I am also the type who doesn't carry a hairbrush with me. Wash and wear - yeah that's me. 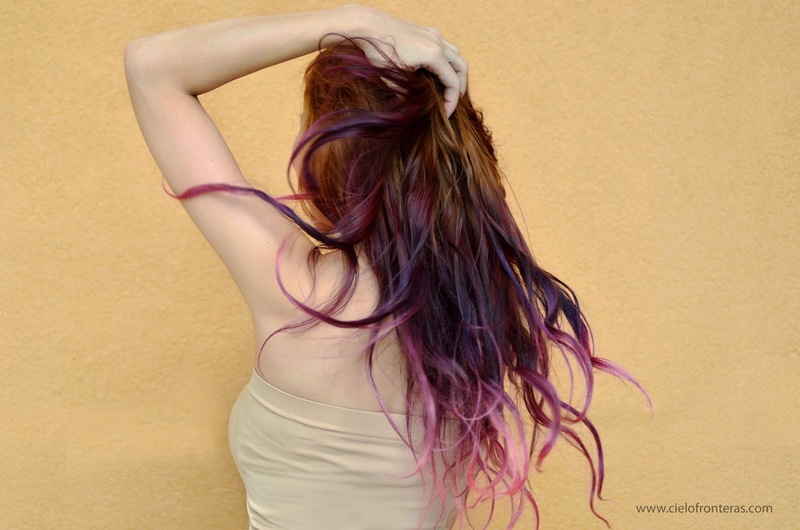 That's why ombre works for me so much because even with an untidy hairdo, it still looks AWE-SOME!!! At the salon --- Color still fresh. I told Angelo I wanted to look like a mermaid so he braided my hair and blowdried it a bit and... VOILA! The mermaid look! Caught in an Ombre Romance! I know a lot of you would like to get caught in an ombre romance too! FEATURE + GIVEAWAY: Shoot That Purple Dot!